In the Sahel, the number of conflicts opposing nomadic communities on access to natural resources has been steadily increasing along transhumance routes. Easily exploited, these local conflicts are feeding into larger inter-community conflicts which are in turn affecting regional security. 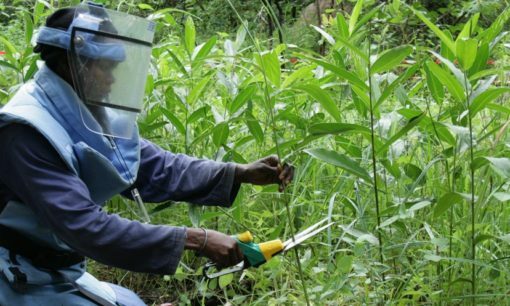 In response to the growing risk of agro-pastoral conflicts becoming militarized, HD has been supporting networks of community mediators since 2015 in order to resolve conflicts around access to natural resources. 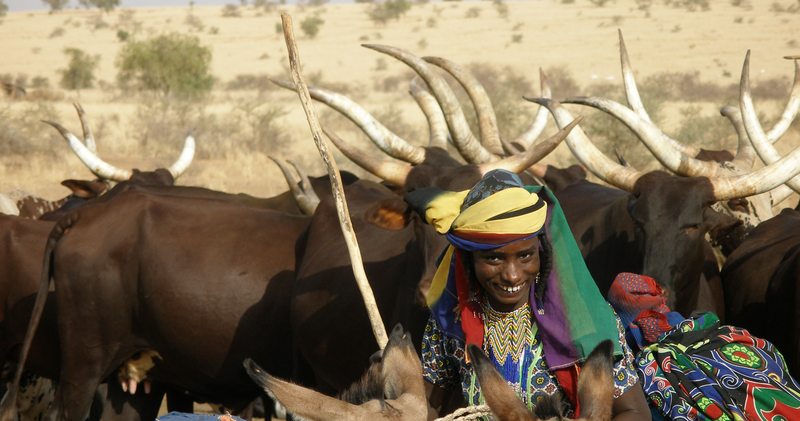 In the Sahel region, in the border areas of Mauritania, Mali, Burkina Faso, Niger and Chad, pastoral communities live off their livestock. Their survival depends on their ability to move around, according to seasons or the availability of natural resources in order to feed their cattle. Today the nomadic way of life is being threatened by two phenomena: the construction of modern states based on a sedentary citizenship, and the increasing scarcity of natural resources due to demographic pressure, desertification and insecurity. Nomadic communities have not been considered in development strategies which have favoured agriculture. They have also been excluded from basic services, such as primary education or public security, and have been traditionally left to fend for themselves. 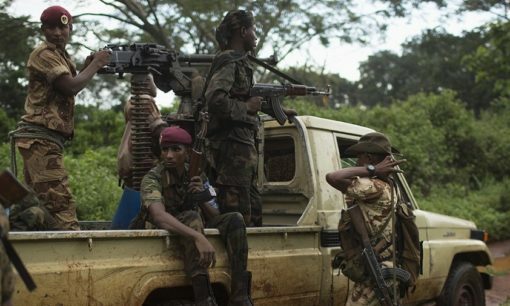 The upsurge of armed conflicts in the region has also increased insecurity, causing the closure of borders and the disruption of transhumance tracks, further intensifying the vulnerability of these communities. In addition, competition for access to water and pastures between farmers, fishermen and pastoralists who have settled down on the one hand, and nomadic communities on the other, has become politicized as a result of alliances of some of these groups with rival armed groups. 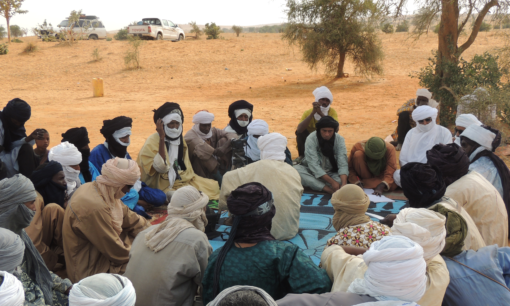 Faced with the prospect of agro-pastoral conflicts becoming increasingly militarized, in 2015 the States of Mali, Niger and Burkina Faso commissioned HD to begin a mediation project between nomadic and sedentary communities in the cross-border area between the three countries. HD consequently brought together 321 nomadic, semi-nomadic and sedentary community mediators together into 10 community networks whose role is to prevent and manage conflicts related to the exploitation of natural resources. To achieve this, HD has reactivated the communities’ traditional mediation practices while providing them with its own expertise as well as methodological support. Recognized as leaders within their own community, the mediators seek to reinforce social cohesion and mutual assistance between communities sharing the same geographical area and natural resources. Furthermore, HD is facilitating cross-border meetings between mediators from municipalities located on either side of the border and whose communities interact with each other. Together, these initiatives have helped to respond to the confidence crisis which has been weakening inter-community coexistence since the Malian conflict in 2012. In parallel, HD is also facilitating the mediation of conflicts related to access to natural resources, and whose political stakes, linked to the militarization of the region, exceed the capacities of community mediators. In doing so, HD relies on its field knowledge as well as its networks with the national authorities of the three countries and with armed groups. In May 2016, HD facilitated the signature of a peace agreement between the Nigerian nomadic Fulani and the Malian sedentary Dawsahak communities. The dispute, which originated in the exploitation of a well, had lasted for over three decades. Likewise, in April 2018, a cessation of hostilities agreement was signed between the Dawsahak (Tarbanasa and Ibawen) and Imajgan (Targaitamout) Tuareg communities from the Menaka region of northern Mali. The conflict which opposed them had been weakening the implementation of the May 2016 Fulani-Dawsahak agreement. In support of its mediation efforts, HD has also been facilitating dialogue spaces on pastoral challenges between agro-pastoral communities and concerned local, national and transnational authorities. Issues discussed during these meetings have included the securing of rural land property, legislations on transhumance, the sharing of access to water points, cattle theft as well as the interdependency of agricultural and pastoral policies. In 2019, HD plans to widen its agro-pastoral mediation initiative to Mauritania and Chad. HD would like to thank the Kingdom of Denmark for its support to this project since 2014 and the European Union Emergency Trust Fund for its support since 2019. Understanding between the Tarbanasa, Ibawen and Targaitamout communities in the Tamalet area relating to thefts, cattle looting and the peaceful exploitation of pastoral resources along the border of Mali and Niger (French), April 2018. 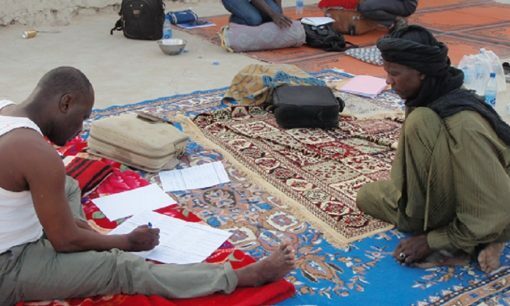 Agreement between the Dawsahak community in Takatayt (Mali) and Peulh community in Niger on the peaceful exploitation of natural resources along the border of Mali and Niger (French), May 2016.